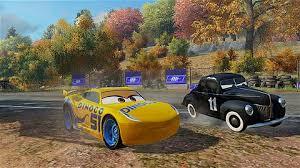 Cars 3 Driven to Win is a new game for the PS3 and PS4 as well as the XBOX One and XBOX 360. My kids have always loved Cars, so they were really excited to try out the game. My boys LOVE this game! They say it's like a kids version of Need for Speed. I love that they can play a racing game made just for kids! Giveaway! One winner is going to get a code for the full version of the game on any of the available systems. Enter below, and good luck!